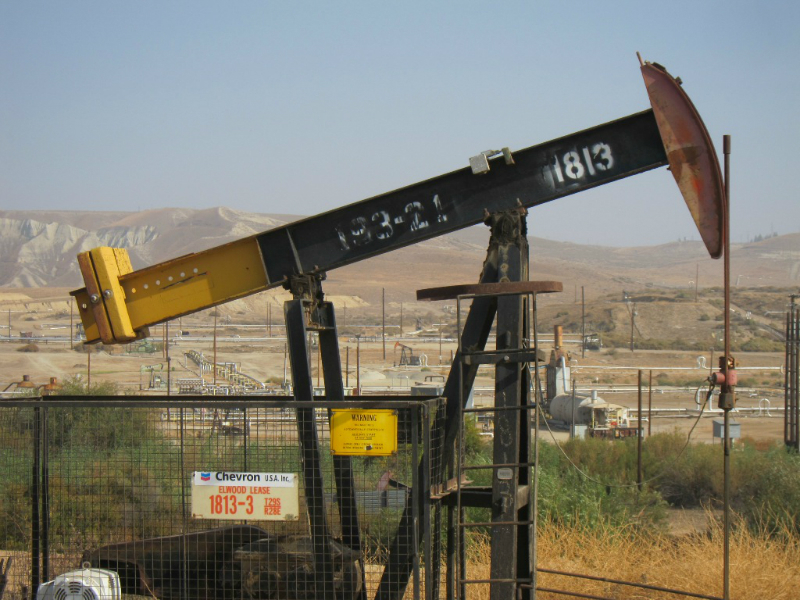 Oil well in Kern County, CA. Four oil companies in the state currently send oil field wastewater to four irrigations districts. Once treated, it’s then recycled and used on food crops, primarily in Kern County. To date, no studies have shown that irrigating crops with oil wastewater poses any threat, says Clay Rodgers, with the Central Valley Regional Water Quality Control Board. "If evidence comes available to the regional board that indicates that there are issues associated with the use of this water, then certainly we will take quick measures to address those concerns and mitigate any impacts,” says Rodgers. Environmental advocates say oil field wastewater could contain toxic chemicals that can cause cancer or reproductive harm. Dr. William Stringfellow with Lawrence Berkeley National Laboratory has conducted an independent study on chemicals used in oil production. The study did not look at chemicals in treated water that end up on food crops, but instead looked at chemicals used in oil production. He says it’s difficult to estimate risks to consumers when oil companies don’t disclose chemicals they consider trade secrets. Oil companies also don't disclose the amounts of chemicals used in extracting oil. The water board says it will consider banning the practice if it’s deemed a public health threat.